From the popular anime series 'LoveLive!' 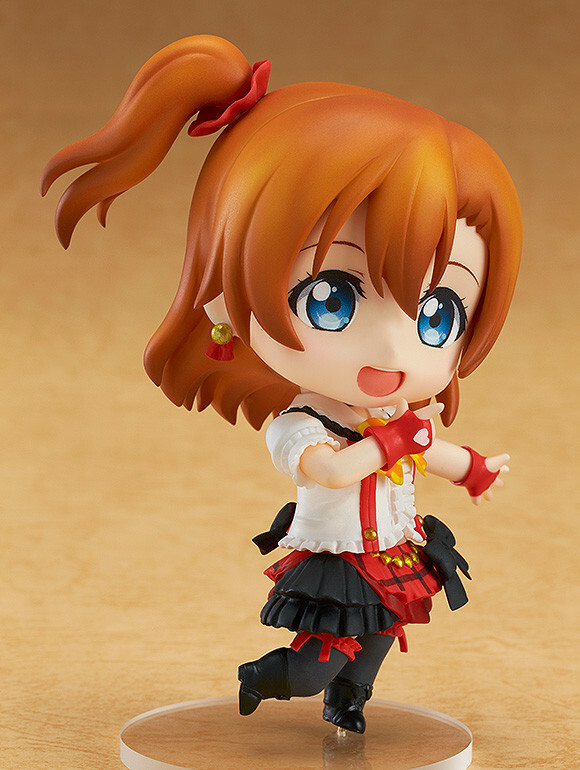 comes a rerelease of the bright and cheerful leader of μ's who always has a smile on her face, Nendoroid Honoka Kosaka! She has been sculpted wearing her outfit used in the song 'Bokura wa Ima no Naka de'. 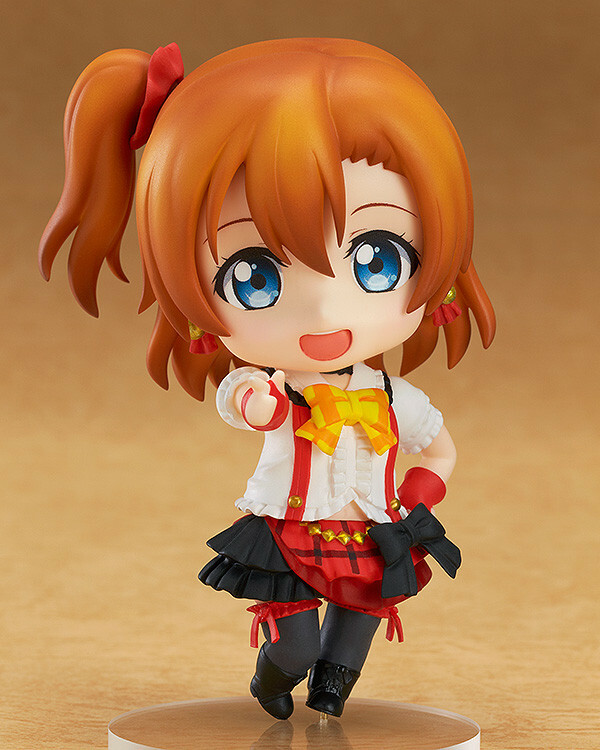 Honoka comes with two different smiling expressions, one with a gentle smile on her face and another filled with energy! She also comes with a variety of different parts that make all sorts of poses from the opening theme of the first series possible in Nendoroid size. 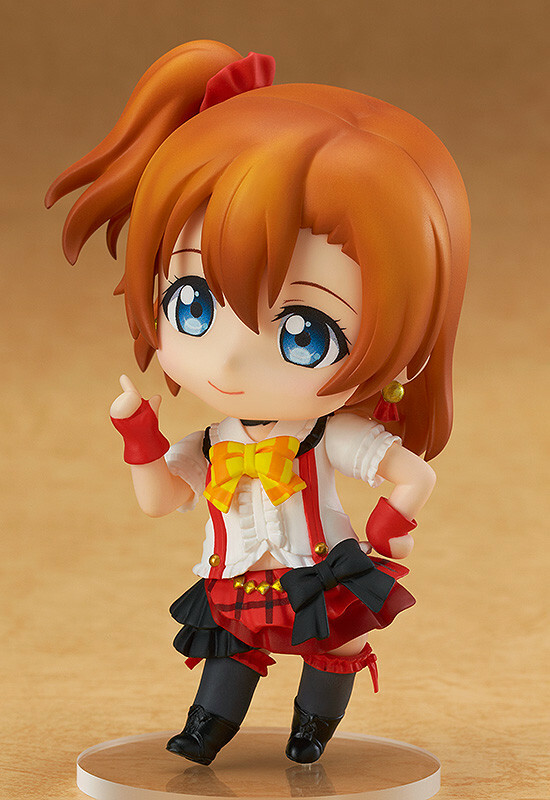 Be sure to display her with the previously announced Nendoroid Nico Yazawa, as well as the other members of μ's who are scheduled to follow shortly! 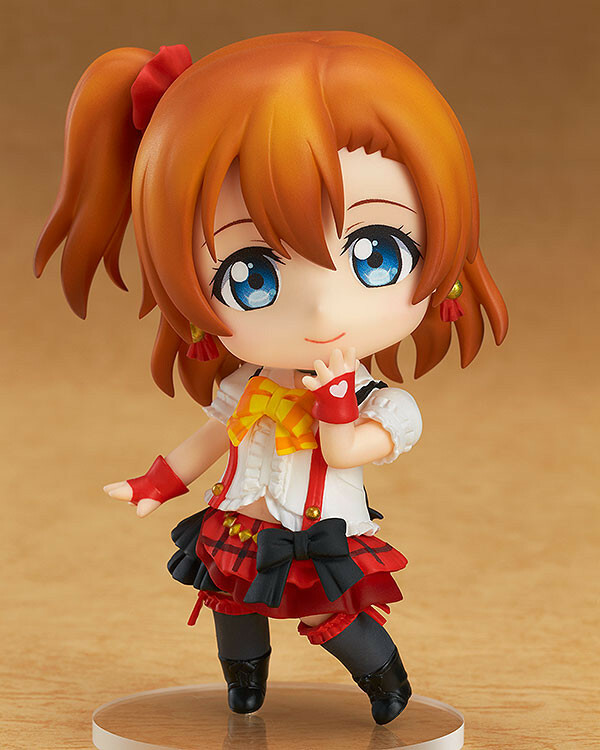 Preorders will be open from 11st June 2015 (Thu) from 12:00JST until 24th June 2015 (Wed) at 21:00JST. Please note that the GOODSMILE ONLINE SHOP Bonus is not included with the rerelease of this item.